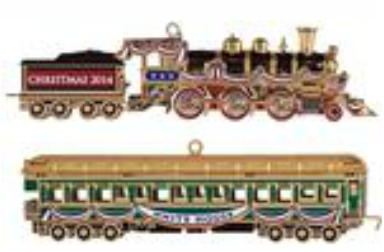 Every year, we raise funds by selling the official White House Christmas Ornaments as part of its fundraising efforts. These beautiful one-of-a-kind collectibles make lovely holiday mementos and wonderful gifts. Get one for yourself, a loved one, a friend, and ask your local businesses if they would like to purchase ornaments for their office trees! Each Ornament is solid brass and finished in 24 kt. Gold. Made in America, each ornament is hand-crafted to last a lifetime. The 2014 Official White House Christmas Ornament honors President Warren G. Harding, who served as the 29th president of the U.S. from 1921-1923.